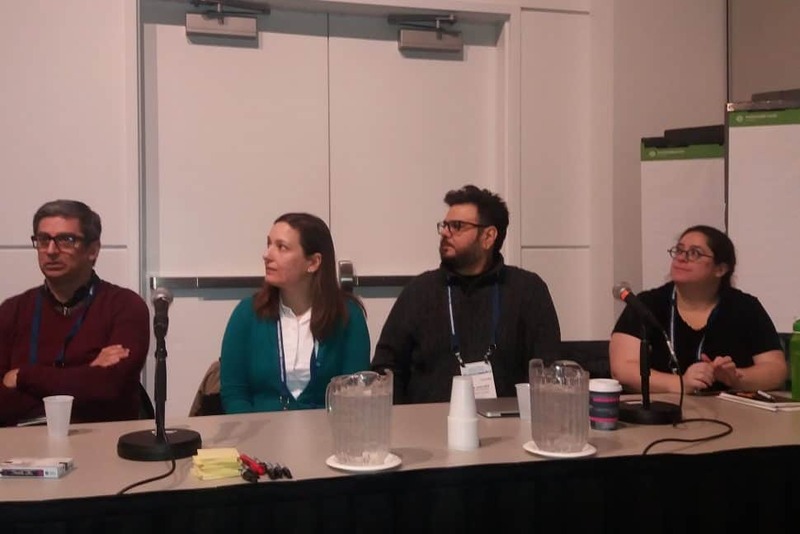 (L-R) Juan Rubio, Kristin Brumbach, Joe Sanchez, and Paula Langsam, the panelists of “Libraries Ready to Code: From Research to Practice," a program at ALA's 2018 Midwinter Meeting & Exhibits in Denver. 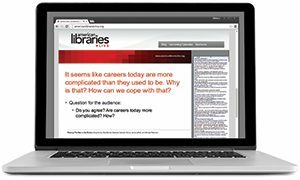 How are librarians centering activities around computational thinking for youth and families? 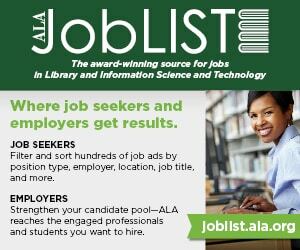 What does coding look like in the library? At “Libraries Ready to Code: From Research to Practice,” a Symposium on the Future of Libraries session at the American Library Association’s (ALA) 2018 Midwinter Meeting & Exhibits on Saturday, panelists involved with the Ready to Code (RtC) initiative shared stories of embedding computational thinking (CT), computer science, and coding into workshops and programs. RtC panelists spoke about CT activities that are “interest-powered,” as well as reflective of the other principles of Connected Learning: production-centered, peer-supported, shared purpose, academically oriented, and openly networked. For Kristin Brumbach, high-school librarian at Governor Mifflin School District in Shillington, Pa., CT translated to Mifflin’s Feathered Friends, a citizen science project designed to connect K-12 students with nature and each other. The project aimed to bring technological solutions and “authentic production experience” to monitoring birds in a birdhouse. Brumbach said the program was structured around the client-engineer relationship, with high-school students interviewing elementary-school students to get a sense of what products to create. “We took their ideas and shimmed them into three different categories: website, app, and motion-sensing camera,” she said. 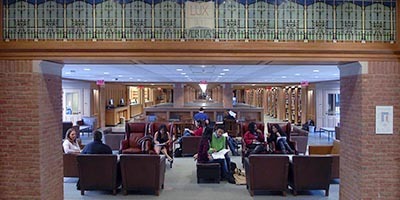 At DC Public Library, children’s librarian Paula Langsam recognized that CT had a place with an even younger group. “When I saw computation thinking, I said, ‘Oh, this is early literacy,’” Langsam said. “[It’s] larger messy problems into smaller pieces. [It’s] pattern recognition, which is like book awareness.” Her Ready, Set, Think! program introduces families to CT skills through everyday activities that can be broken down into steps, such as tying shoelaces. 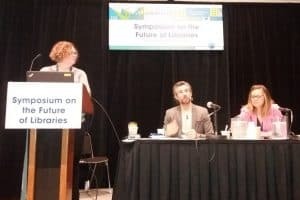 Juan Rubio, program manager for digital media and learning at Seattle Public Library, shared that teens in his community are given leadership roles while assisting with CT workshops, emphasizing the peer-centered principle. Rubio had some ideas for teen-led instruction—give students clear expectations, time to prepare, room to create meaningful relationships, and ongoing support.